Today, like every day, I will have a bed to sleep in, a meal that fills me, clothes to cover me, and shoes to protect my feet. For me, these things are a given, and I haven’t spent a ton of time thinking about what life would be like without them. I’m fortunate to have never faced a situation that caused me to go without these basic necessities. Now, I can tell you I think differently. Now I know that many of the people who rely on homeless shelters for a safe place to sleep at night and a warm meal have a job. 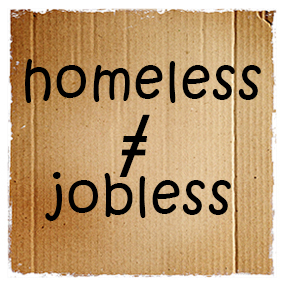 Homeless does not equal jobless. Now I know that over 70% of homeless have some sort of mental or psychological challenge. Now I know that 25% are under the age of 27, and that homelessness happens to whole families. 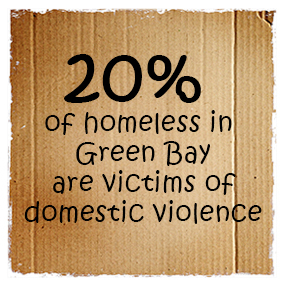 Now I know that roughly 20% of people seeking shelter are victims of domestic violence. These are real people who deserve dignity and respect. Through this process I've realized two things. First, I need to remember to be grateful for all I have. Second, I should be more aware of the problems facing my own community. I don’t have to donate money or time (although it would help), but helping to create awareness is a step in the right direction.